The Pound Australian Dollar (GBP/AUD) exchange rate is flat this morning, with the pairing currently trading at an inter-bank rate of AU$1.8369. Data released this morning showed that UK manufacturing PMI rose to a 13-month high of 55.1 in March. The figure rose as stocks of inputs and finished goods rose at record rates, and following this data release, the Pound began to claw back losses. ‘Businesses on both sides of the channel intensified their efforts this month to accumulate materials with the fastest increase in the stock building of finished goods since 1992, as the UK hurtled towards the Brexit deadline. ‘This panic-buying had a marginally positive effect on job creation however, as increased Brexit preparations required more hand on deck and some businesses were carrying on regardless of launching new products and markets. Data released on Monday showed that momentum in Australia’s manufacturing sector slowed in March, however the Pound Australian Dollar (GBP/AUD) exchange rate remained flat. The Australian Industry Group’s (AiG) Performance of Manufacturing Index (PMI) dropped from 54 to 51 in March, the lowest reading since October 2016. Caution ahead of the Federal Election, the downturn in the housing market, and the drought in the eastern states were cited as the main catalysts of the weak manufacturing PMI. ‘Respondents reported slower conditions in March 2018 […] Some attributed this to a generally slowing local economy while others said their customers are delaying purchases until after the Federal election. Data also showed that house prices in Australia continued to fall in March, however this was at a slower pace compared to levels seen over previous months. While prices appear to be falling at a slower pace, the housing downturn now appears to be spreading further which likely dampened sentiment in the ‘Aussie’. ‘The 0.6% drop in March was actually the smallest of the month-on-month declines since values fell by 0.5% in October last year. 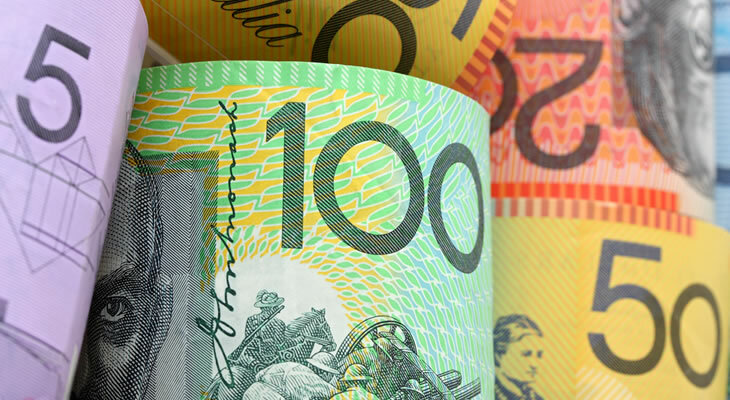 Looking ahead to Tuesday, the Australian Dollar (AUD) could slip against the Pound (GBP) following the release of the Reserve Bank of Australia’s (RBA) interest rate decision and statement. If the RBA holds rates at 1.5% as expected by markets but the rate statement is overly dovish and hints that a rate cut is likely in 2019, the ‘Aussie’ will likely slide. Later in the morning, the release of the UK construction PMI could cause the Pound to fall. While March’s construction PMI is forecast to rise to 50 from 49.5, the construction sector would be left stagnant, which will likely cause the Pound Australian Dollar (GBP/AUD) exchange rate to fall.